If you’ve been involved in an accident with a semi-truck, tractor trailer or commercial vehicle, the resulting injuries and losses can be catastrophic due to the severe nature of the crash and size disparity between vehicles. However, because of the complicated regulatory and liability issues, trucking cases can pose unique challenges. Both Dennis Geisleman and Dennis Brown have successfully resolved trucking accident claims for their clients resulting in the wrongful death of loved ones, or severe and disabling injuries. Not only are the dynamics of a trucking crash different than most other auto accidents, but also the range of federal and state laws and regulations governing the trucking industry. 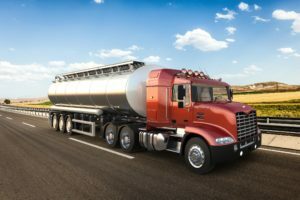 These laws outline certain standards that trucking companies, owners, and drivers must meet and often affect who is responsible for a trucking accident. With our experience working with applicable regulatory laws, we have an in depth understanding of the various steps that must be taken to obtain the maximum financial compensation you deserve. As with all cases, we know how to deal with the unique issues or problems your case presents. A thorough investigation, skilled presentation of your injuries, damages and losses, combined with expert testimony where needed will allow us to effectively present your case in a manner to maximize the compensation available to you via settlement or verdict, should a trial be required. We also work with your medical providers to document the full extent of your injuries and damages, including past medical and surgical expense, future medical needs, and how the injuries and related limitations you have suffered are affecting your daily home and work life. 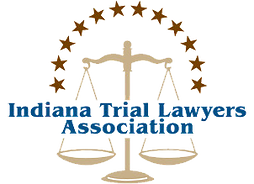 If you would like to schedule a free consultation to discuss your trucking accident or Collision claim, please call us at 260.420.2001.